PANDORA Love Lock Ring 196571. Evoking feelings of infinite love, this sleek sterling silver band ring features a flawless heart-shaped padlock detail at its centre, embellished with the PANDORA logo. A bold and contemporary design to add a modern twist to any outfit or occasion. I have just bought the Love Lock Ring from the new Pandora range, I have searched for ages for a charm ring so I had to buy this one when I saw it. 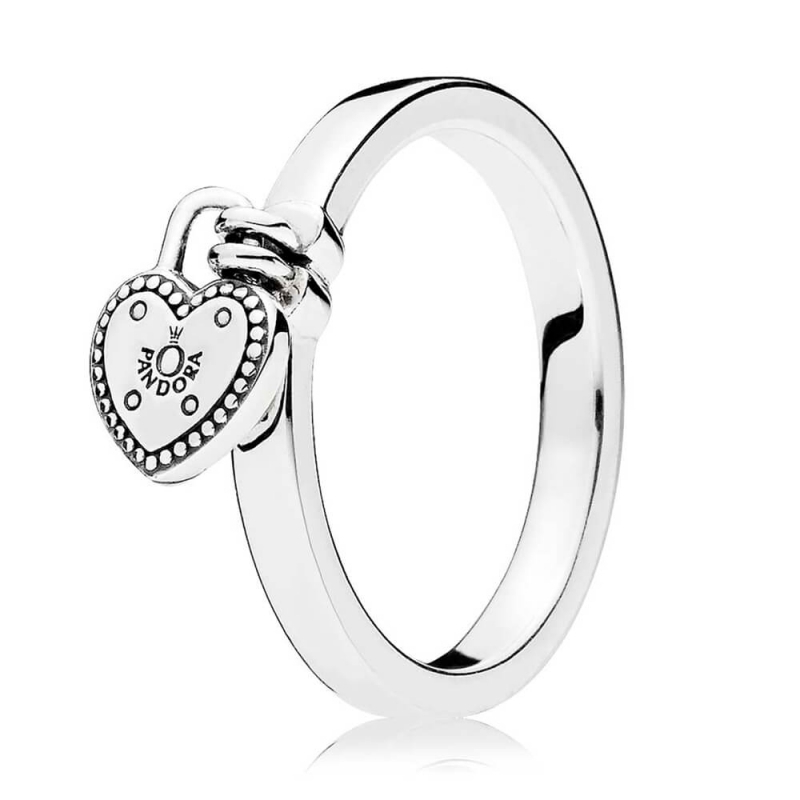 Hope Pandora bring out this ring with a further choice of charms attached or double charms attached like say Moon & Stars or birth signs, I could go on. Love this ring, it is very delicate and very attractive, the band is not too deep but certainly isn't thin and the charm is just so pretty. I think size wise you should go for your usual sizing in the slender stacking rings, I personally went for my next size up in this ring so I could wear it on either of two different fingers but when wearing it on my smaller finger I wear it with another (smaller fitting) ring on top to be secure. Hope that info helps. The price was fantastic for this ring considering the detail involved. Can't wait to see if there will be more choices.